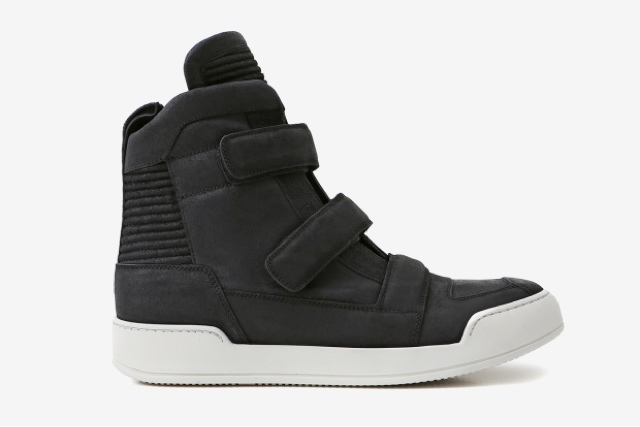 French fashion house Balmain has released a new set of sneakers for nights on the town, the Leather High-Top Sneakers. Taking cues from popular high-top models of the past, Balmain has translated the traditional silhouette to fit in around the runway as well as they do on the concrete catwalks of the city. Despite velcro straps that ensure custom fit, the sneakers retain a relatively slim profile, pairing well with raw denim or other darker bottoms. Made in Italy with premium leather, the Balmain Leather High-Top Sneakers are available as an online exclusive on the brand’s web shop for €780 EUR – approximately $1024 USD when translated.